PRINCE2®, MSP®, MoP® is a registered trade mark of AXELOS Limited, used under permission of AXELOS Limited. The Swirl logo™ is a trade mark of AXELOS Limited, used under permission of AXELOS Limited. All rights reserved. The APMG International AgilePM® and Swirl Device logo is a trademark of The APM Group Limited, used under permission of The APM Group Limited. AgilePM® is a registered trademark of Dynamic Systems Development Method Ltd. All rights reserved. 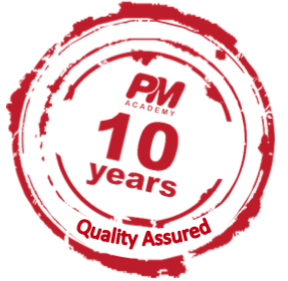 CAPM®, PMP® and PMBOK® Guide is a PMI registered mark.